Both shoes are zero drop (heel to toe ramp), among the very first zero drop "shoes" along with the GoLite Flash and Amp as well as the upcoming Saucony Hattori. Weight: trail Lone Peak 10 oz (men's size 9 ), the road Instinct 9.1 oz. Not the lightest but they appear quite durable both outsole and upper. What is most striking about the Instinct and Lone Peak is the toe room width as illustrated here by a photo of the Instinct outsole. The toes will have plenty of room to splay out and I think this will help cushion impact in a mid foot stride. While I am not sure the overall midsole cushion height is in my sweet spot I am willing to give them a try. For those who are "toe tappers", have bunions or other foot issues the Instinct will provide far more room up front than conventional shoes, and when combined with the zero drop from heel to toe, should tend to not mash the toes against either the front or side of the shoes. The rest of the lacing system and upper is conventional so the foot will be very well held and stable. 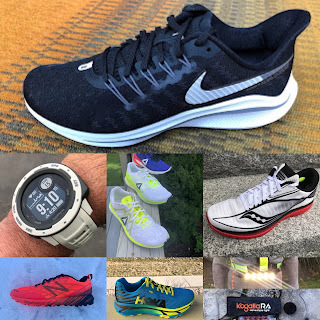 The Instinct along with its zero drop has 12 mm of forefoot ( and heel) midsole which is 2 mm more than the GoLite Flash Lite zero drop shoe that I found a bit firm and 2 mm less than the Saucony Kinvara's forefoot foam height which for my 168 lb frame I find not quite responsive enough for my pseudo minimal tastes. The outer sole appears very durable, likely more durable than the Kinvara's patches of longer wear material over EVA. 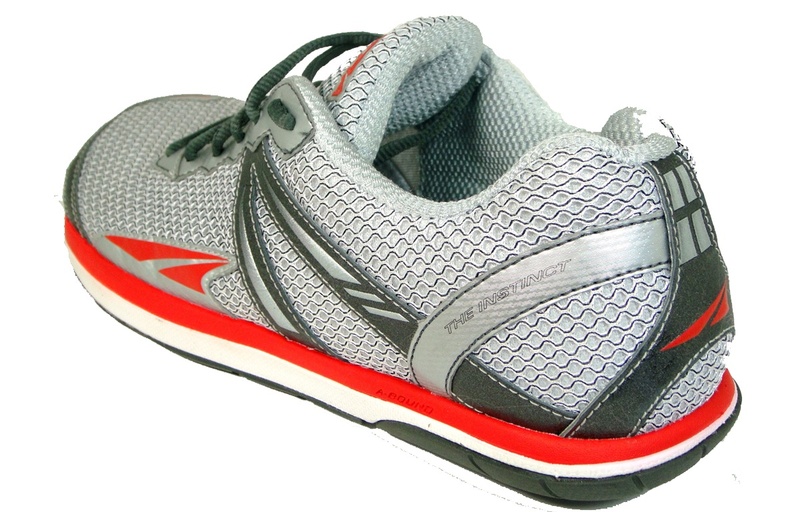 Altra also has 2 super minimalist, velcro closure shoes the Adam and the Eve weighing less than 5 oz. Instincts and Lone Peak will be on sale in spring in stores and via Altra's web site, at slightly higher prices. Lace up versions of the Adam and Eve as well as firmer somewhat more stable versions of the Instinct and Intuition for bigger runners. Reinforcing the message that Altra may help those with bunions and other foot problems Altra also had samples of Correct Toes ($65) a toe spacer developed by Dr. Ray McClanahan, a sports podiatrist. The idea is that modern shoes, and that includes most running shoes, can mis shape the foot and can cause problems such as bunions, plantar's heels and hammer toes. Worn at night or in wide shoes such as Crocs or Altras during the day, these silicone spacers claim to help spread out the toes back to a more natural position. I am not sure they are intended to used while running. My Utah running friend Nicole with whom I have been training for the Boston Marathon while in Park City is both a toe tapper, has bunions, and has considerable foot pain from running intervals on the tight turns on the Basin Recreation indoor track. She is currently testing a sample of Correct Toes and will be writing a guest post here about her experiences with the product. I apologize for my ignorance, but what it "toe tapping?" A "toe tapper", a Fasteddie Knapp term, is a runner's stride landing beyond even the mid foot or just behind the little toe. So a "toe tapper" is more of a forefoot striker than a midfoot striker? My apologies for my ignorance. 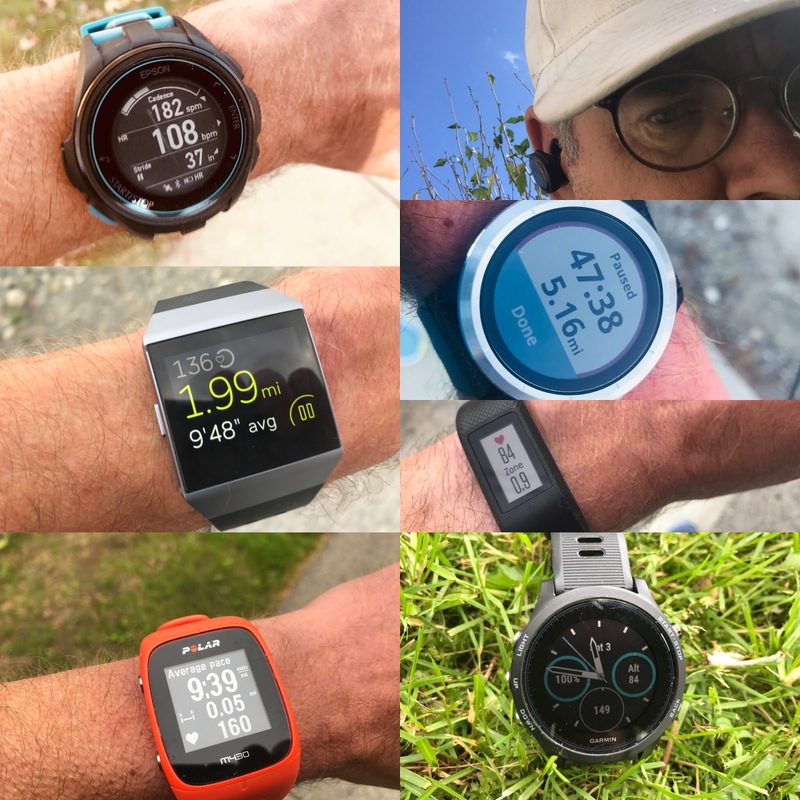 I'm just getting into running now; therefore, my knowledge of the technical jargon is limited. That is correct. Forefoot strike more than midfoot. Toe Tapping may be great for sprinting and speed but does put quite a bit of stress on toes, especially if shoes are smaller than they should be...and/or if the toe box is narrow or has lots of overlays.